Volume 4, Edition 22 Trouble loading? View this email online. Kenya Lopez is a past recipient of the Dianne F. Harrison Leadership Award and currently CSUN’s Associated Students Vice President. She also has undocumented status, making her one of more than 1,400 CSUN students called “Dreamers.” Her goal is to fulfill the American Dream, just like her fellow Matadors. These students receive scholarships funded by alumni like Omar Velasco, of KLOVE’s top-rated morning show Omar y Argelia, who create this aid to give back to help the next generation reach for their dreams. 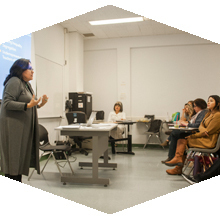 Chicana/o Studies professor Theresa Montaño is a seasoned K-12 classroom teacher, a co-author of two books, and was recently elected Vice President of the California Teachers Association. 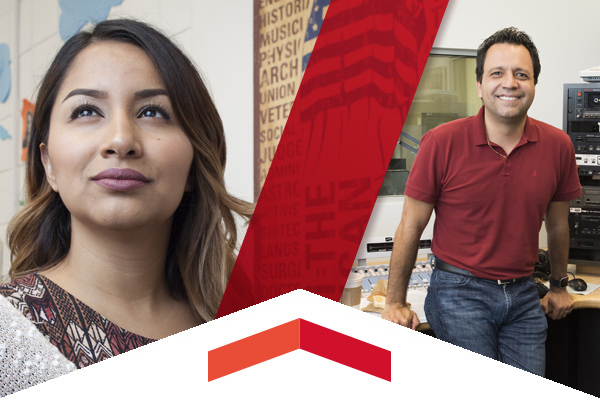 On top of that, she still finds time to mentor and teach students at CSUN. 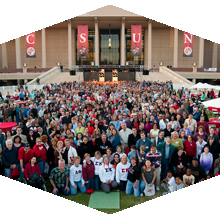 Get your tickets now for CSUN Homecoming on Saturday, Feb. 11. We are celebrating all Matadors with reunions, family friendly games, catered BBQ, a CSUN Men’s Basketball game, beer and wine garden, campus tours and showcases, and so much more. Thurs, Jan. 26, 7 p.m. The Matadors have opened the season with an impressive 6-3 start. Head to the Matadome to watch CSUN face off against non-conference opponent Cal Lutheran. Fri, Feb. 3, 5 p.m. The Oviatt Library and Associated Students will be showing 42, the biopic about baseball legend and civil rights pioneer Jackie Robinson at 6 p.m. A jazz performance by CSUN music students will begin at 5 p.m. Food trucks will be present so attendees can have snacks and drinks during the movie. The free event will be held on the Oviatt Lawn, but if it rains it will be moved to the Ferman Presentation Room. The St. Lawrence String Quartet, founded in 1989, is one of Canada’s premier chamber ensembles. The quartet will provide the audience with a rich, intimate onstage experience. This free two-day event, which is hosted by the CSUN Baseball team at the Matador Field, gives fans a chance to receive their first glimpse at the 2017 Matadors as they take on CSUN legends from years past in friendly competition. The weekend is capped off with hitting the links at Porter Valley Country Club, where CSUN Baseball broadcaster Ross Porter will be the keynote speaker before teeing off. The CSUN Men’s Soccer program, fresh off a 2016 Big West South Division and Big West Tournament championship, will be hosting an Identification Camp on Jan. 29 from 8:30 a.m. to 4:30 p.m. at the Matador Soccer Field. This camp is open to any interested high school and community college players looking to better their game. Crafting the right job posting has a great effect on attracting the job seekers you are really looking for. Join Mandy Schaniel, vice president of key account management and support at ZipRecruiter, for a CSUN On-Demand Webinar. She will answer all these questions and help you attract the best job candidate. Make an impact on current CSUN students by hosting a dinner at your home or favorite restaurant. This is an opportunity to share your real-life stories and real-world knowledge with Matadors interested in following your career path. If you’re a CSUN alumnus or alumna interested in hosting a dinner, contact Trevor Cole at trevor.cole@csun.edu or call (818) 677-2000.